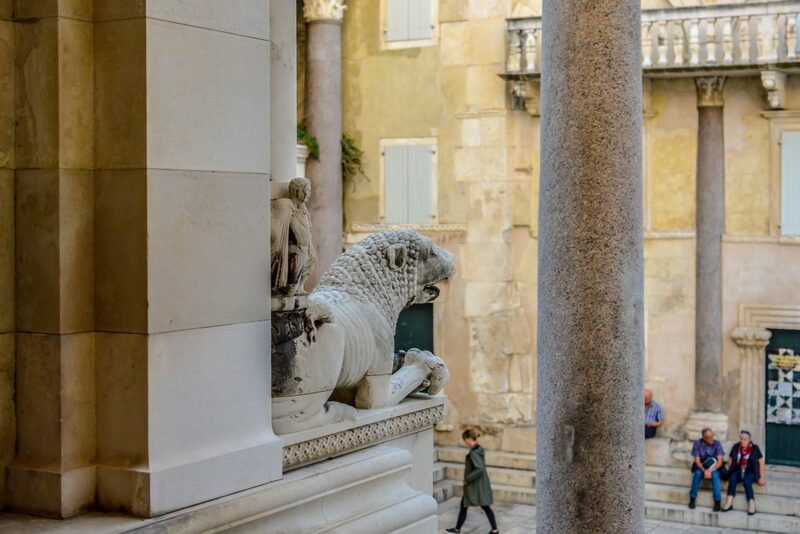 Private Split Walking Tour of Diocletian’s Palace is a great private tour! Share this private experience with the people you care about! Tour takes you on a incredible journey through history. Above all, you learn about the best preserved roman imperial palace in the world. 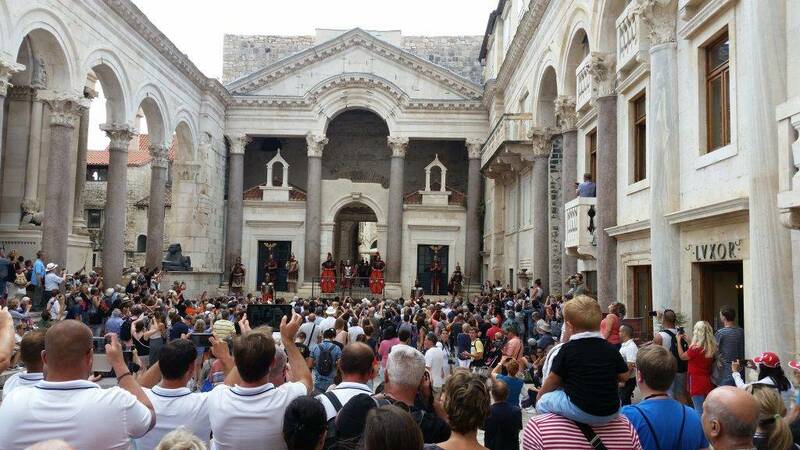 Therefore, Diocletian’s Palace has great historical significance. Also, you will experience modern way of life in Split. First, your experienced tour guide will meet you on Riva. Riva is the main waterfront in Split. Meeting is right next to the bronze model of Split town. Upon the start of the tour you will walk UNESCO protected world heritage site areas. 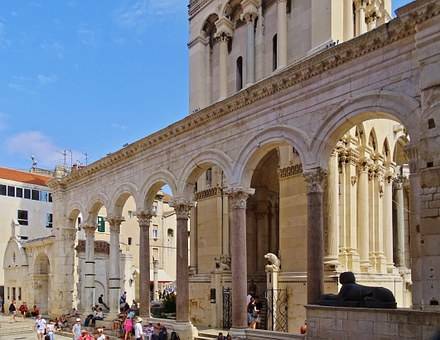 Furthermore, you will also enter St. Domnius Cathedral and Temple of Jupiter.Diocletian’s Mausoleum was converted into St. Domnius Cathedral. Hence it has a reputation as one of the oldest cathedrals in the world! Also – mighty Temple of Jupiter became a baptistery in medieval times. Therefore we will enter these buildings and explore their mysteries! Furthermore, you will see main highlights of Split on this tour. We will proudly present you Peristil and Vestibul. Central substructures of Diocletian’s Palace await your visit as well. Also, admire the Golden Gate and roman streets of the palace. Consequently leave the palace and enter medieval part of town. Medieval part of town offers scenic Pjaca Square. Admire renaissance clock tower certainly dominating Pjaca Square. Finally explore Fruit Square, and enjoy the outside view of Venetian castle. Therefore, wait no more and join us! 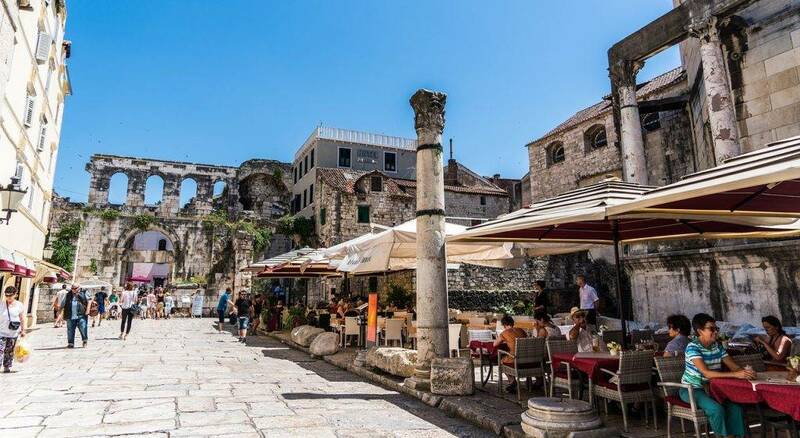 There is no better way of exploring Split! You will experience walking along paved streets and uneven surfaces. Hence, Private Split Walking Tour is not recommended for participants with walking difficulties. Also, you would need to make some steps along the way. Therefore, please wear comfortable walking shoes. Meeting place for this tour is on the main waterfront in Split. All admissions for this tour are included. Please have your shoulders covered when entering the Cathedral.